India was wide-eyed when China aggressively pushed its Silk Route project – and it was then that New Delhi decided to give Beijing a dose of its own medicine by launching an ambitious initiative to re-establish maritime and economic links with 39 littoral nations. The grandiose effort seemed promising. This was in 2014, a year after the Silk Route project received a big push from China. Three years later, the project has hardly shown forward movement except for holding of seminars. A sum of Rs 150 crore has also been spent on Project Mausam, which is similar to Arabic word ‘mausim’ that means monsoon, alluding to the tradewinds that brush past the Indian shores and scoot off to lands far and wide. Project Mausam hopes to revive centuries-old contacts with communities and cultures located along sea-faring routes. “The endeavour through Project Mausam is to link the cultural route and maritime landscape across the Indian Ocean on the one hand, and secure its energy and trade interests on the other hand,” says a senior government official, who added that India’s initiative is a robust answer to China’s Silk Route strategy. With China increasingly trying to squeeze India’s space in the Indian Ocean, New Delhi has come out with several strategic, economic and cultural initiatives to stay the course in the third largest water body which, according to foreign secretary S Jaishankar, is unique in its character as in no other part of the maritime world have “fundamental economic activities...been so directly derived from cycles of nature”. Participating in the second edition of the Indian Ocean Conference in Colombo on September 1, Jaishankar also said that “this ocean evolved its own special identity that is based on mobility, acceptance and interpenetration”. The foreign secretary talked about the shared history of India and countries situated along the Indian Ocean. “The historical inheritance is visible across its expanse, whether it is Hindu temples in Bali [Indonesia] and My Son [Vietnam], in fact, all the way from Zhengzhou to Arab communities in Aceh [Indonesia] and Eastern Sri Lanka or the Waqwaq settlers in Madagascar,” the 62-year-old Indian Foreign Service (IFS) officer said, outlining the broad contours of Project Mausam, an initiative of the ministry of culture. Along with promoting cultural relations with countries belonging to the Indian Ocean region, the project aims to re-establish India’s maritime and economic links with 39 nations, including China, in South Asia, Southeast Asia, Arab world and eastern Africa. It focuses on natural wind phenomenon, especially monsoon wind used by sailors from India in ancient times for maritime trade with countries of the Indian Ocean region, home to more than 2.3 billion people. “The project aims to explore the multi-faceted Indian Ocean ‘world’ – collating archaeological and historical research in order to document the diversity of cultural, commercial and religious interactions in the Indian Ocean – extending from East Africa, the Arabian Peninsula, the Indian subcontinent and Sri Lanka to the Southeast Asian archipelago,” reads the concept paper of the project. The project was unveiled by then secretary of the culture ministry, Ravindra Singh, on June 20, 2014 at the 38th session of the World Heritage Committee in Doha, Qatar. Apart from the Archeological Survey of India (ASI), the Indira Gandhi National Centre for the Arts (IGNCA), the National Museum and National Monuments Authority – all divisions of the culture ministry, the ministry of external affairs (MEA), the Indian Navy and the National Institute of Oceanography have been roped in to give the project a multi-dimensional shape. But three years have passed and the project is battling for survival. “For the past one year, nothing is happening on this multi-disciplinary project. We have not received any direction from higher authorities regarding it. Nor is there information whether the project is alive or dead,” said a senior official of the ASI, the nodal agency of the project. The official added that the project was expected to be completed in two years, a claim which has been supported by officials of the IGNCA, which serves as the project’s research unit. A senior official of the culture ministry admitted that the “pace of work on the project has been very slow in the past six-eight months”, but held that it had not been put in “deep freezer”, a euphemism for ‘as good as dead’. “Frequent changes of DG (director general), ASI is one of the reasons for the current status of the project,” the official said, while expressing hope that it would now take off as a new DG has taken charge of the ASI. Since the project was launched, the ASI twice witnessed change of guards at its helm: Rakesh Tiwari who joined as director general ASI in 2014, retired from his post in May 2017, while Usha Shama, an IAS officer of the Rajasthan cadre of the 1985-batch, joined the ASI as its chief in July 2017. Between May and July, the institution was handled, as per sources, by the culture ministry’s additional secretary Sujata Prasad. There is also a bit of passing the buck among officials. An ASI official claimed that the MEA, which is supposed to give fillip to the project by making all 39 countries provide inputs to India on issues of cultural, archeological, maritime and trade importance, has itself become a “victim of lethargy and inertia”. Except for “the two-three countries of the Southeast Asian region, the rest have not parted with any information with India on things of archeological or heritage importance”, the ASI official added. But South Block mandarins have a different take. “We were at the forefront in UNESCO to get [this project] recognised as a subject of world heritage importance. We helped in conducting the first Kalinga-Indonesia dialogue in Bhubaneswar in November 2016. We are coordinating with a number of Indian Ocean countries in establishing cultural linkages with India and its states. So it is blatantly wrong to say that the MEA is not advancing the cause of the project,” retorted a senior MEA official. The official underlined the significance of the project in promoting India’s soft-power diplomacy. “With this project, India will have more leveraging effect on countries of South Asia, Southeast Asia, East Asia, Arab and Africa than what China is supposed to have with its ‘Silk Route’ initiative,” the MEA official said. Former foreign secretary Shashank supports the stand. He says, “By going beyond consumerism and cheque diplomacy, India wants to establish cultural and heritage contacts with countries of the Indian Ocean region” and Project Mausam would fit in New Delhi’s scheme of things. According to him, it was only in the 1980s that successive governments started looking at the Indian Ocean with keen interest. “Indians primarily looked at the Indian Ocean as accidental geography rather than recognising its strategic importance,” he said, adding that for the first time in 2003 when he was foreign secretary a separate division in the MEA was created to look after Indian Ocean affairs. Centuries-old cultural, heritage, maritime and trade links between India and these nations were marked as a criterion in bringing them within the project’s bracket. Of them, 35 nations are currently members of the Indian Ocean Naval Symposium (IONS), a voluntary initiative of countries of the Indian Ocean Region. To attain mutually beneficial maritime security outcomes within the IOR, navies of these countries often undertake goodwill visits, while exchanging information on maritime issues. This highlights common understanding among people belonging to the Indian Ocean. “In ancient days, Arabian and African countries were visited by Indian traders from Kerala, Saurashtra and other coastal states to sell spices. 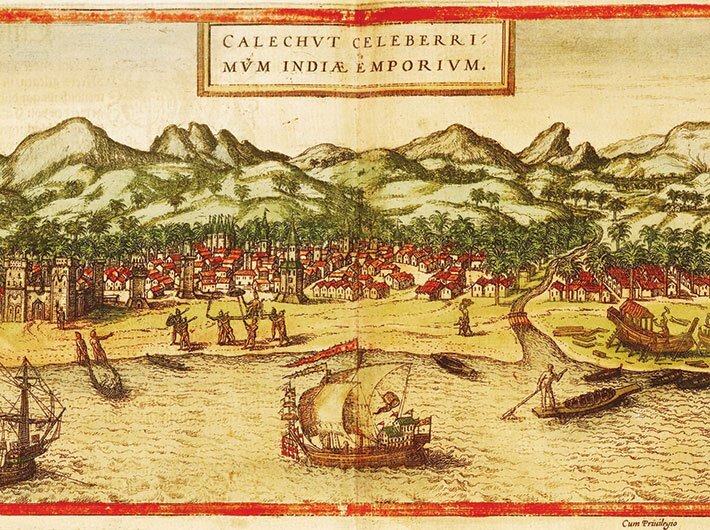 Gradually, many of these traders also settled down in several African nations lying on the coastal side of the Indian Ocean,” said Bachchan Kumar, in charge of Southeast Asian Studies at the IGNCA. The utilisation of funds is a sore point. Sources say these funds have so far been utilised for holding seminars, conferences and workshops by the IGNCA. Himanshu Prabha Ray, former chairperson of National Monuments Authority who was the head of the project’s academic committee, maintains that such investments are essential. She was categorical that initiatives like Project Mausam will play a crucial role in strengthening the country’s soft-power diplomacy. But so far, this project, which is considered India’s major foreign policy initiative, remains tethered at the chalk and board stage.